Noël Caleb | An artistic expression of words. We know we have been quiet for a long time but now we are back with a bang! It will be a magical evening full of fashion, beauty, shopping and partying! Watch our fashion show showcasing the participating local and overseas independent labels (which are premium designed) and walked by aspiring models. 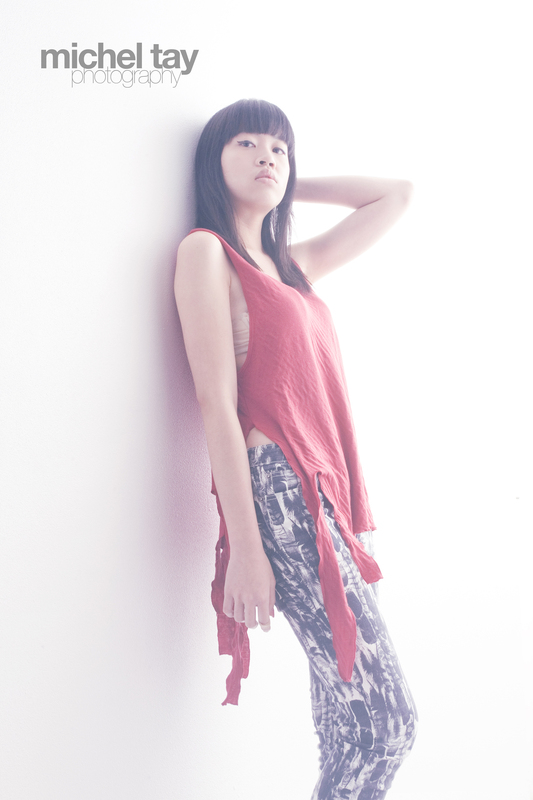 Shop for the desired pieces at the booths of respective labels at specials of S$50-S$300 for one day only. 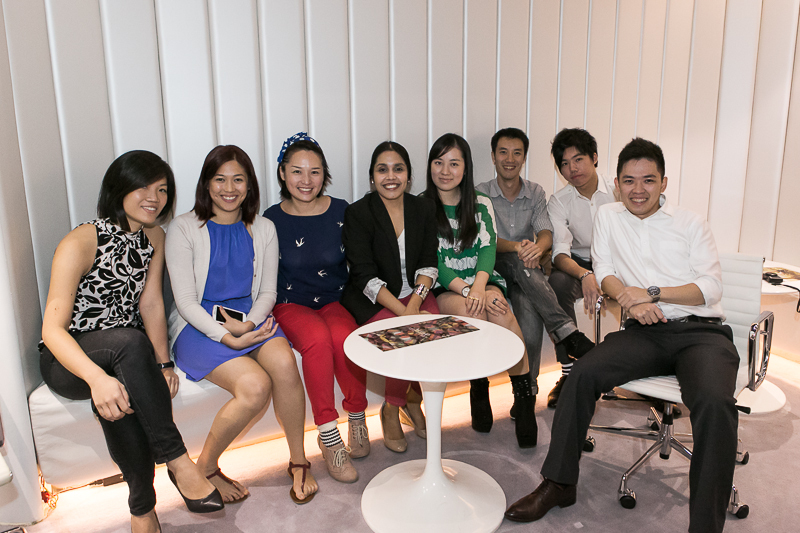 Look good at our styling stations by getting a makeover and being photographed at our special photo booths. 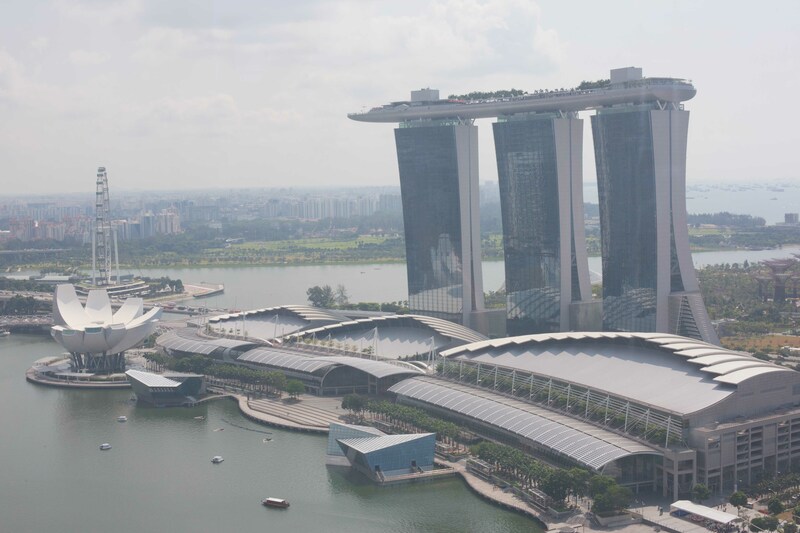 Party against the backdrop of Singapore’s iconic Marina Bay Sands after 10 PM. We have an exclusive offer for all our fans. From now till 18 June, you can purchase a minimum of 4 tickets at $35 each, thus enjoying a discount of 40%!! (U.P – $60). 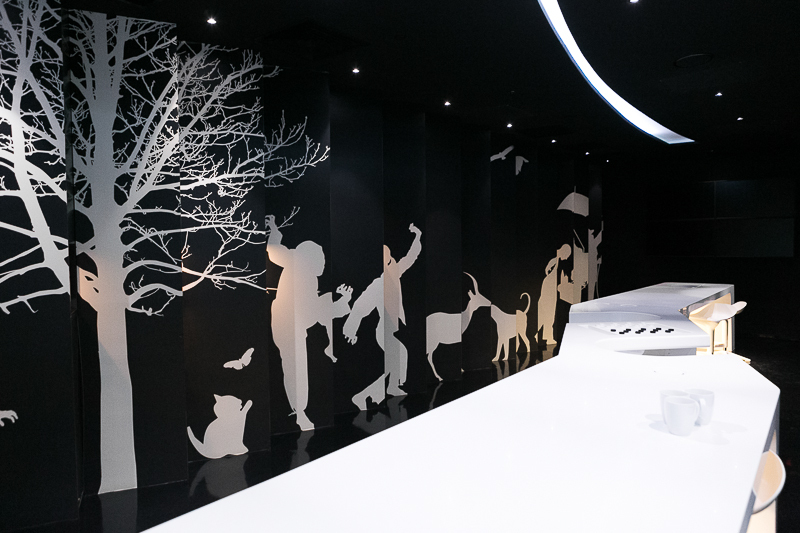 From 19 June, only Passion Card members will be able to purchase a minimum of 2 tickets at $35 each. Head to our Fashion in a City website and book your tickets. You can make use of our current special rate and reserve tickets from us by filling the form on the site. 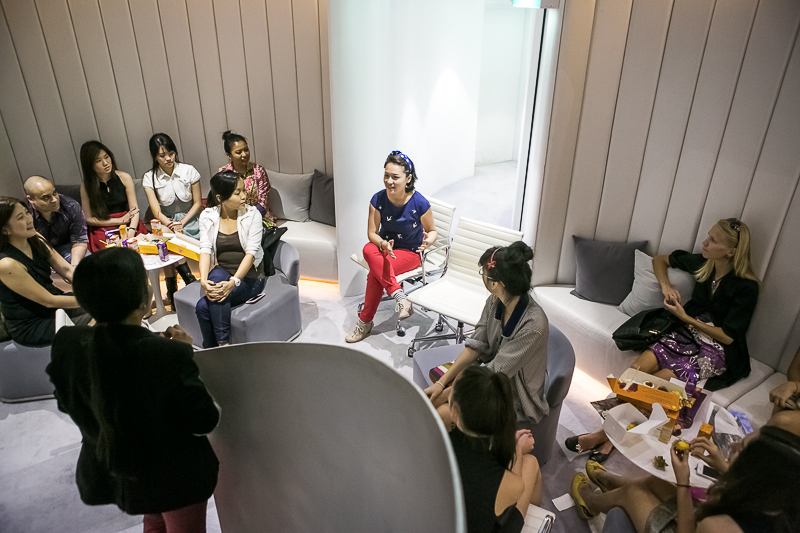 Our normal price of $60 per ticket resumes from 19 June 2013. 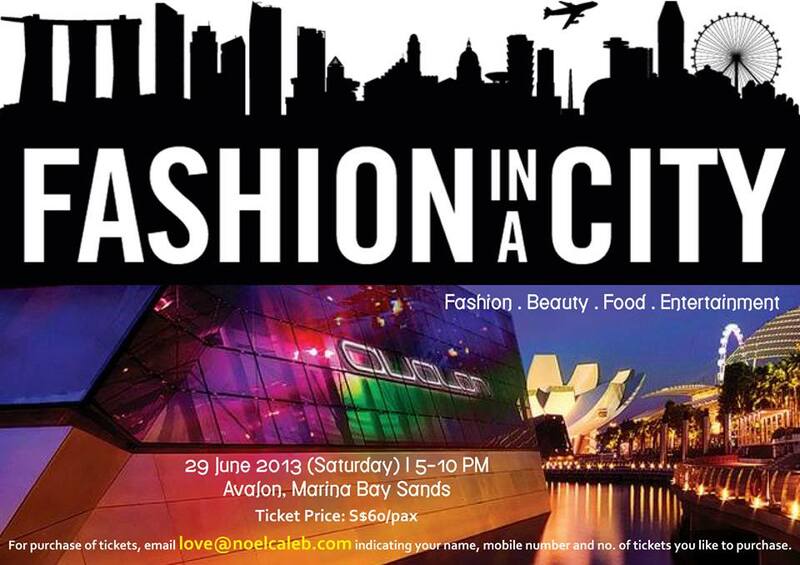 For cash payment, email love@noelcaleb.com and we’ll issue the tickets on the spot. Don’t you want to know who these gorgeous guys and gals are? Head over to our Facebook page and you can also vote for your favourite model! The most popular model will win a special prize from us which will also be announced on June 29. So friends, mark your calendars and book your tickets! Keep checking Fashion in a city site for all the latest updates. Noël Caleb is one brand that is constantly evolving. 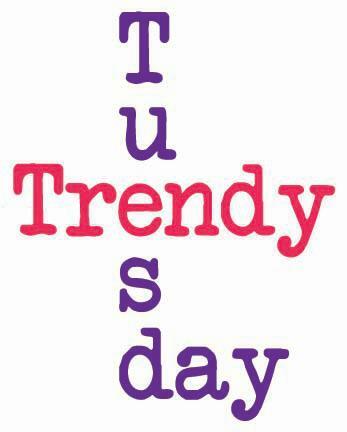 We have regularly launched unique programmes for our fans and our customers and keeping up with this tradition, we recently launched a new initiative called Trendy Tuesday. 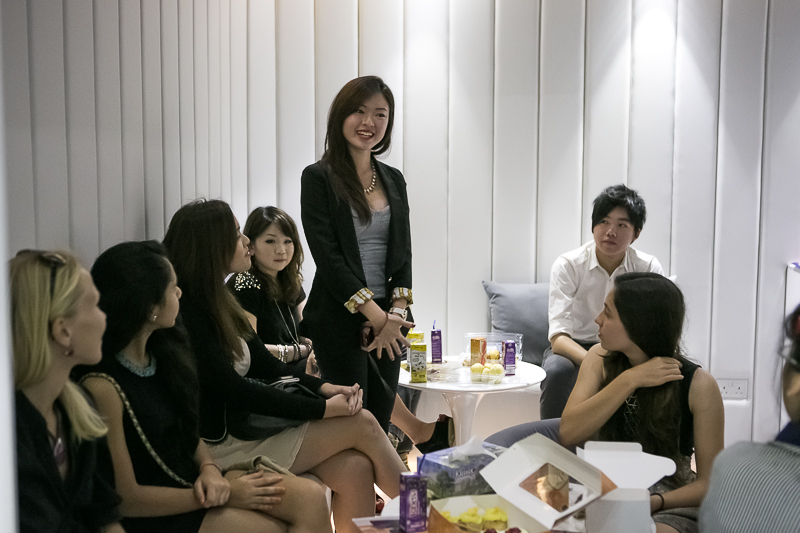 For our first Trendy Tuesday event, our team met up with Singapore’s coolest runway club at Raffles Junior College. 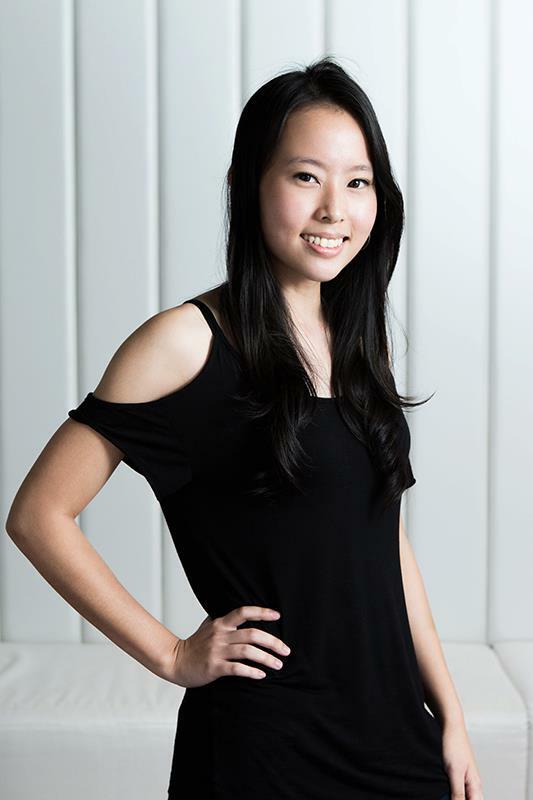 Raffles Runway is a student run fashion programme. 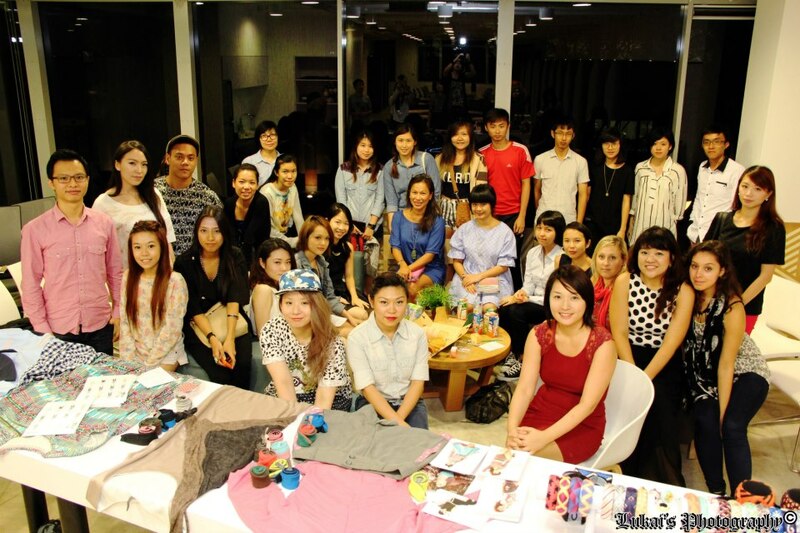 Around 60 students created their own designs which were recently shown at their fashion show at SCAPE on 11 May. 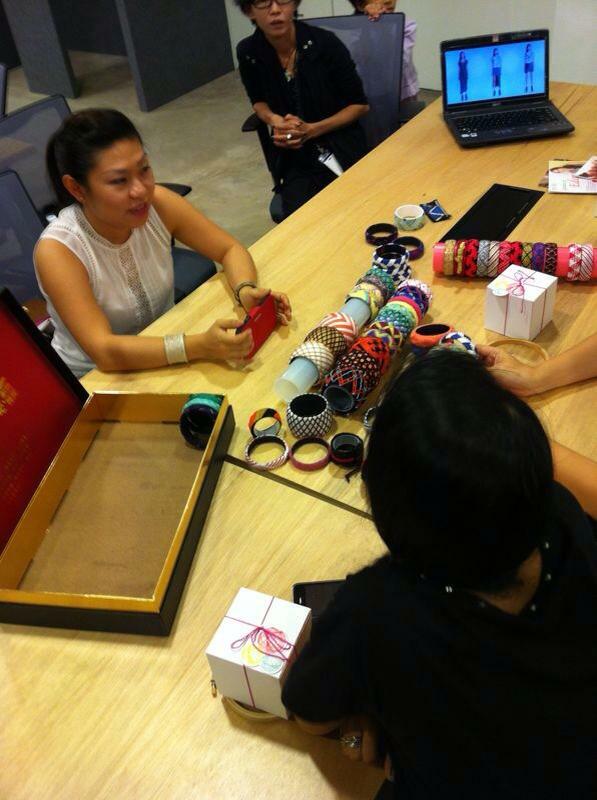 In another Trendy Tuesday activity, we organized an accessories making workshop in collaboration with Eskpade, an upcoming local accessories label. 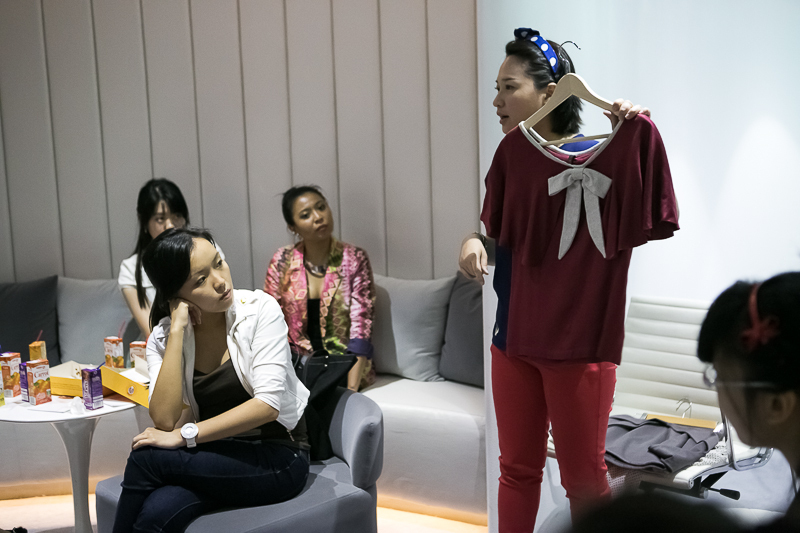 It was an intimate session where Kristine, the founder of Eskpade, guided the participants through the process of creating an embroidered accessory. 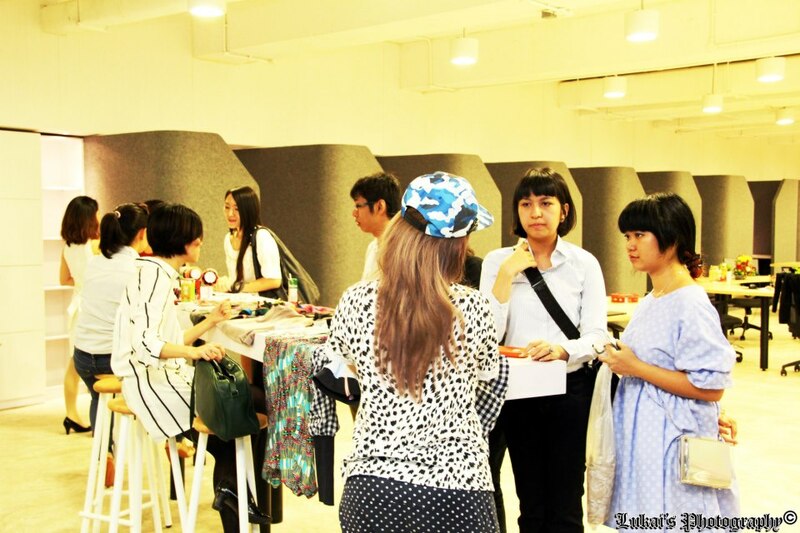 We also organized a Meet-The-Designers session at The Co on 7 May where students, bloggers, fans and customers got an opportunity to meet and interact with designer-founders of three local labels. 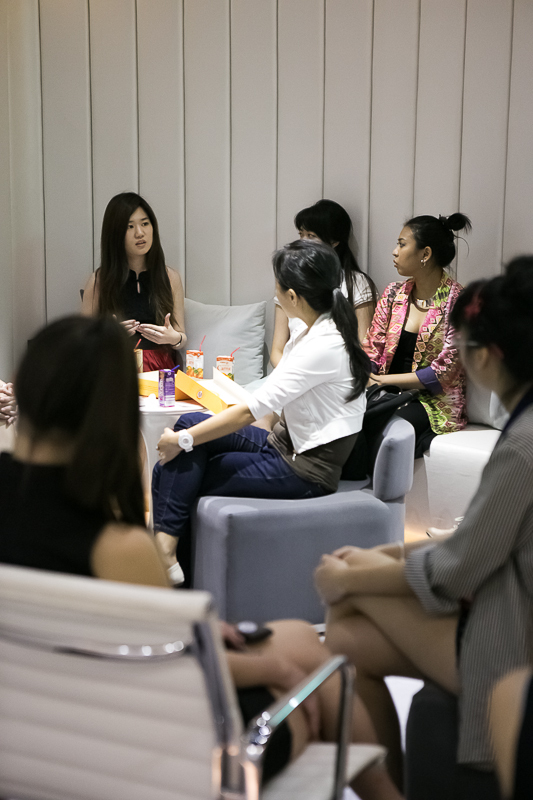 All the designers were very open and honest about their experiences of starting and running fashion labels. 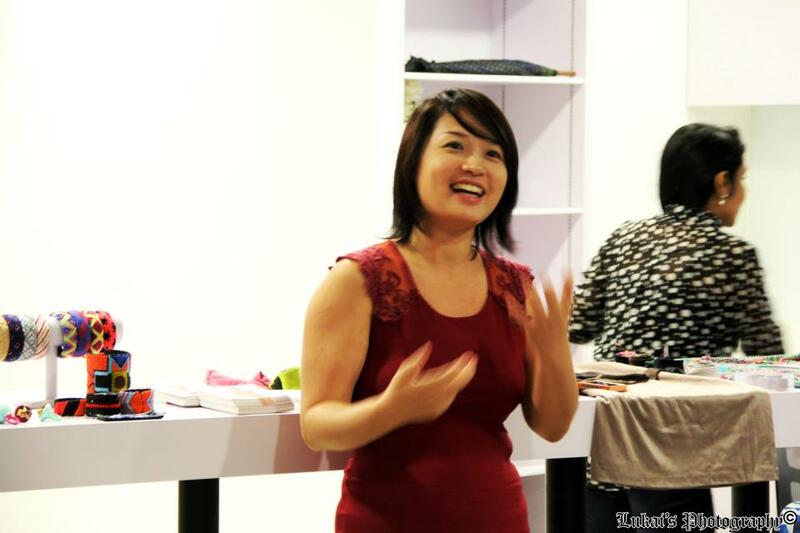 They also gave a ton of sensible and practical advice to aspiring entrepreneurs. Check out some more pictures from this event here. 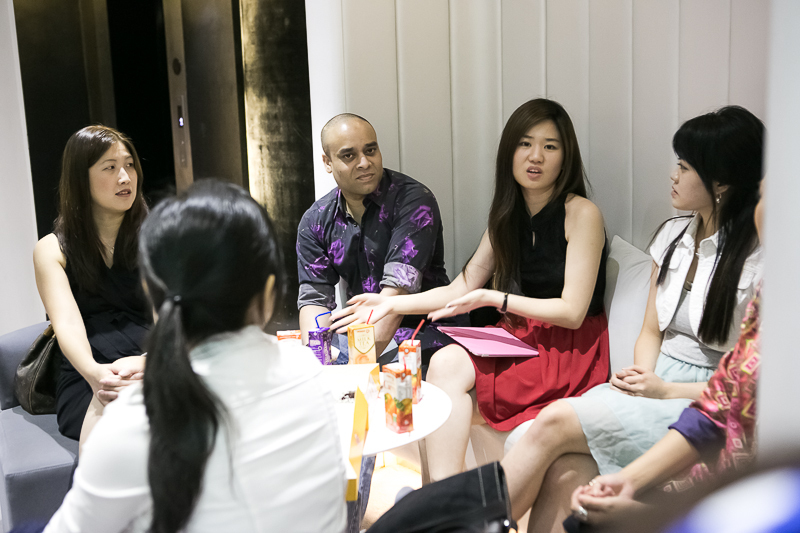 All the pictures for the Meet-The-Designers session are courtesy Justin Sim, better known as Lukai Takashi, freelance photographer, writer and graphic artist. You can get in touch with him at Sakahiro_mikari@yahoo.com.sg. We would also like to thank The Co for letting us use their space to host this event. We have a couple of very exciting developments taking place very soon. First up, our latest collection, ‘Jonah’ is launching this week at Blueprint, which is taking place from Thursday to Sunday at The Pit Building in Marina Bay from 10 am – 6 pm. Please do visit us at Zone C, Booth 77 to get your hands on ‘Jonah’ and our other collections. And that too, at a great price, exclusive for Blueprint! 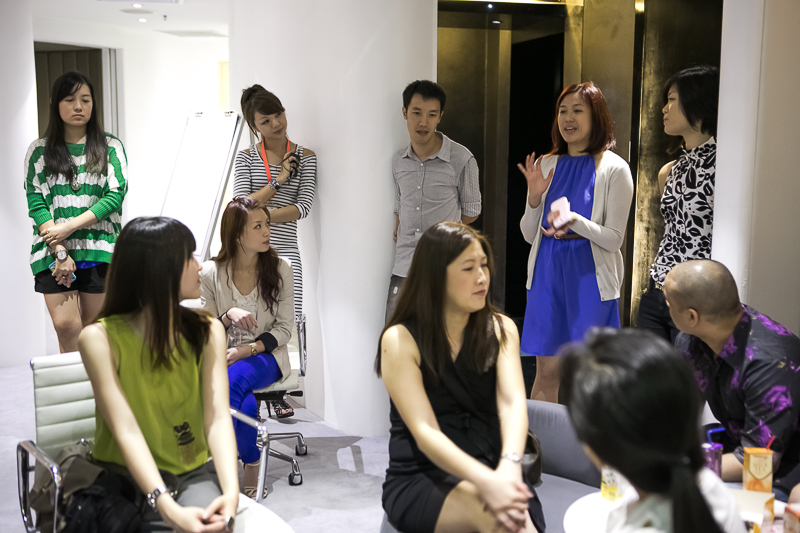 We are also organizing our next model casting and training workshop on 21 May at 7 PM. We have planned many more exciting things for you guys later this year. Keep checking our blog and our Facebook page for all the latest updates. 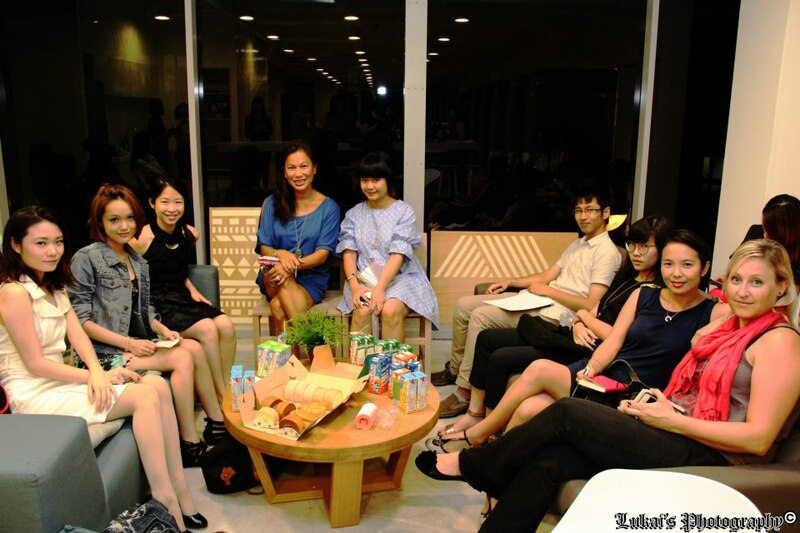 And what better way to indulge in this mood than by reviewing our last fashion show. 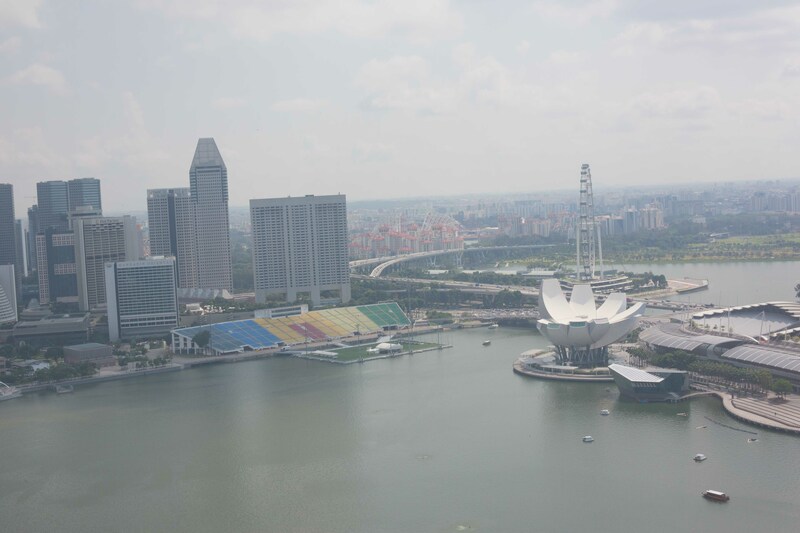 Noël Caleb Jonah Fashion Show was held on Saturday, 23 March at the beautiful Sail@Marina Bay on the 44 floor with this stunning view. Our models arrived bright and early at the venue to get primped and primed for our first fashion show of the year. Just check out the models strutting their stuff so confidently in the first segment of our show! 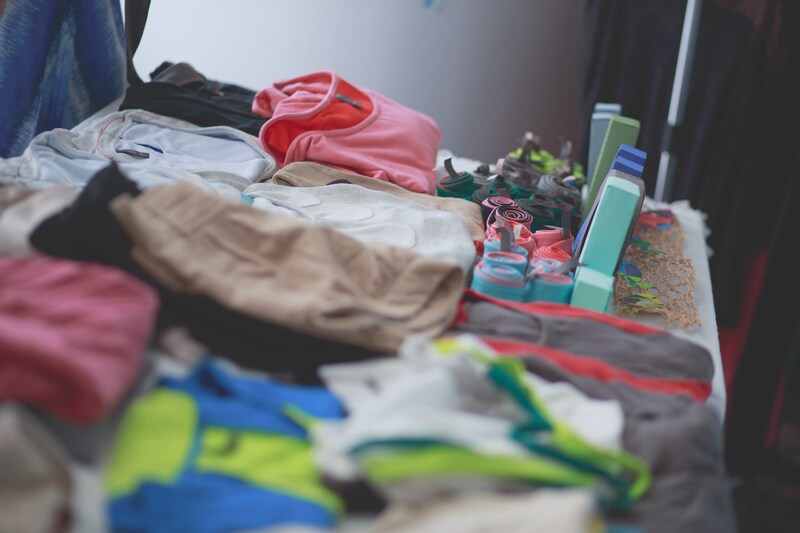 The clothes in this segment were from our previous collections – Ballerina Diaries and Honey In A Rock. We launched our Jonah Collection in the second segment of the show with the Rebels! Segment 3 showcased the Jonah Repent collection. The clothes were so gorgeous and the models so stunning that it was fitting we ended the show with Jonah Success. Our fashion show ended with two amazing announcements. 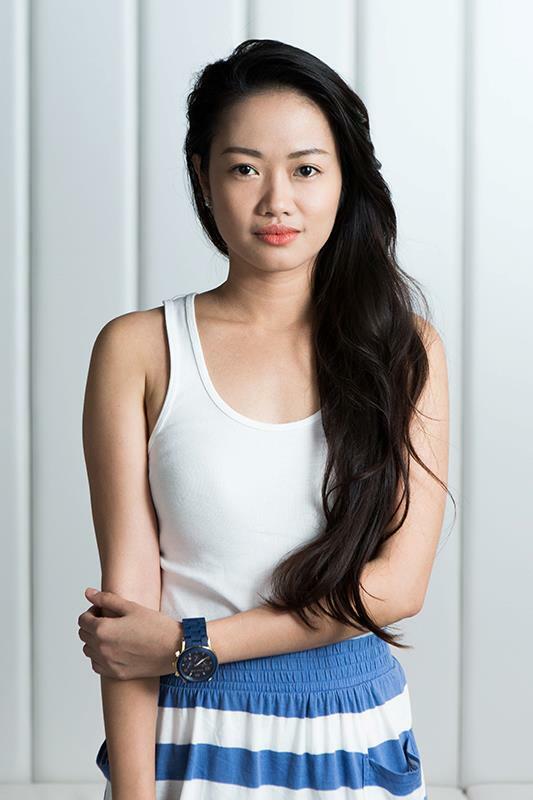 Jessica Ee was chosen as the face of our Jonah Collection campaign. 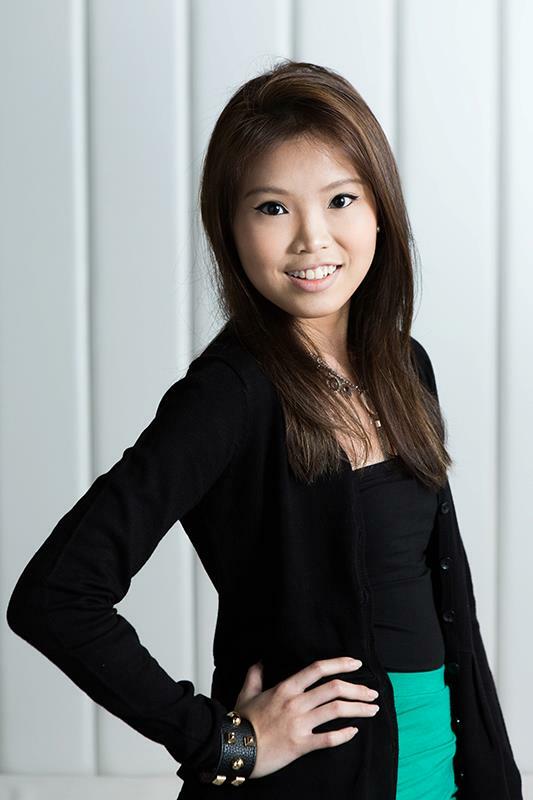 Christabel Chua was voted the most popular Jonah model according to our social media poll. We are sure you must be dying to get your hands on all these stylish and stunning clothes. Email all your queries to love@noelcaleb.com ASAP. 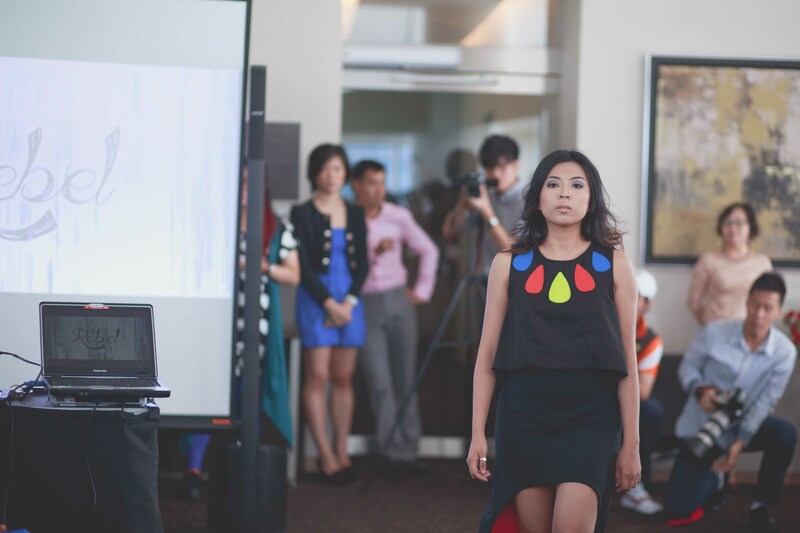 Here are some more snapshots from our fashion show. These photos are just the tip of the iceberg! Please head to ourFacebook page to see many more pictures from the event. If you are keen to know the inspiration and thinking behind the Jonah Collection, do check out our interview with the designers. Check out our interview with Jonah models here. 4 of our models Irina, Elaine, Juliana and Sulastri are bloggers and were doing the catwalk for the first time. 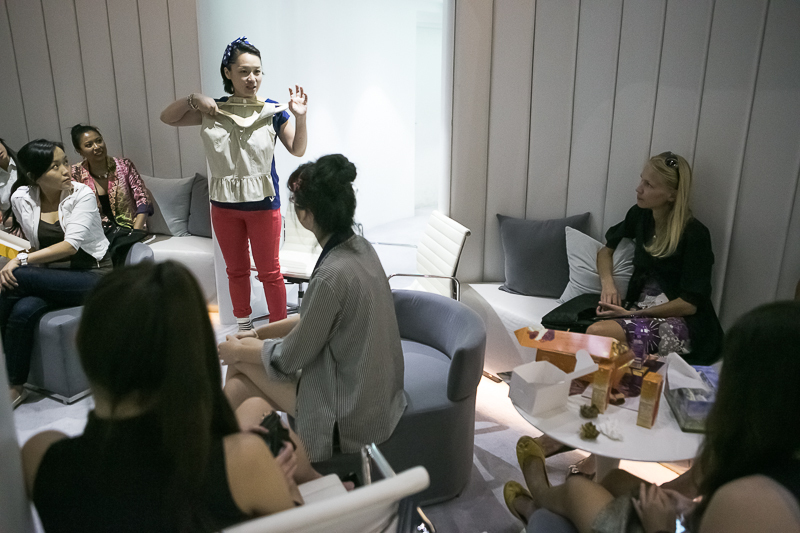 Irina and Elaine also wrote fascinating posts about their experience in our fashion show. We are already facing withdrawal symptoms with the end of our first fashion show of 2013. Meanwhile, await the launch of Jonah! But we promise, we’ll be back! 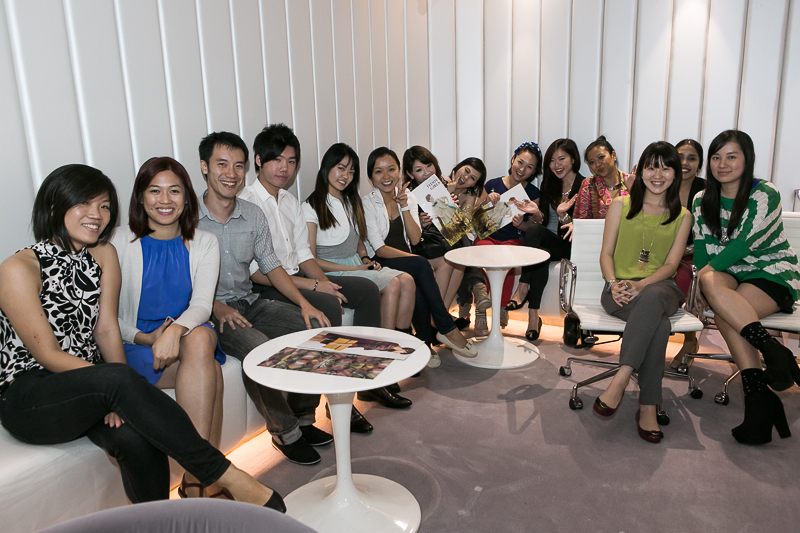 The rest of you beautiful people, we will see you at the fashion show on Saturday, 23 Mar, 12 pm at The Sail@Marina Bay. 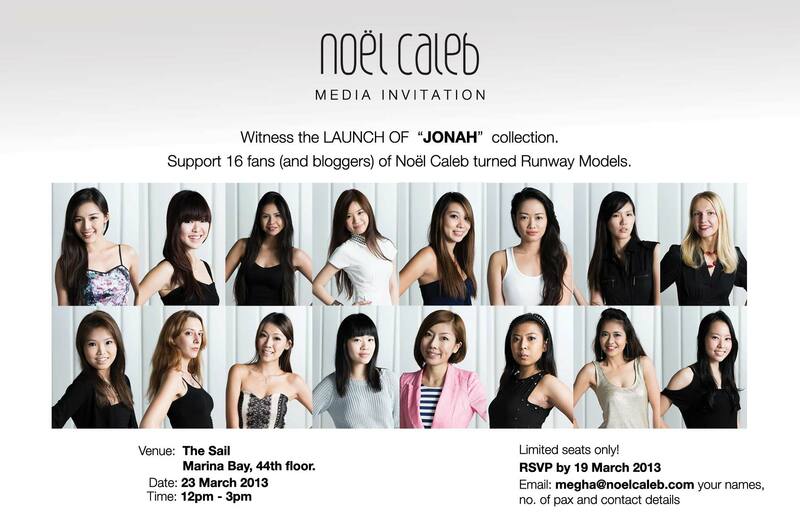 Please RSVP to love@noelcaleb.com ASAP to confirm your place. Hello fellow Noël Caleb fans! Check out what we were up to last week. 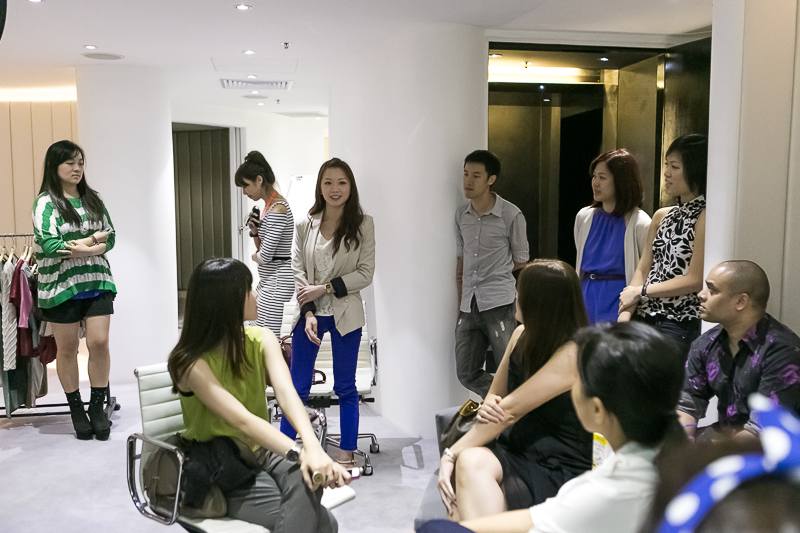 We conducted our first model audition for the year on 19 Feb at the fabulous The Co. 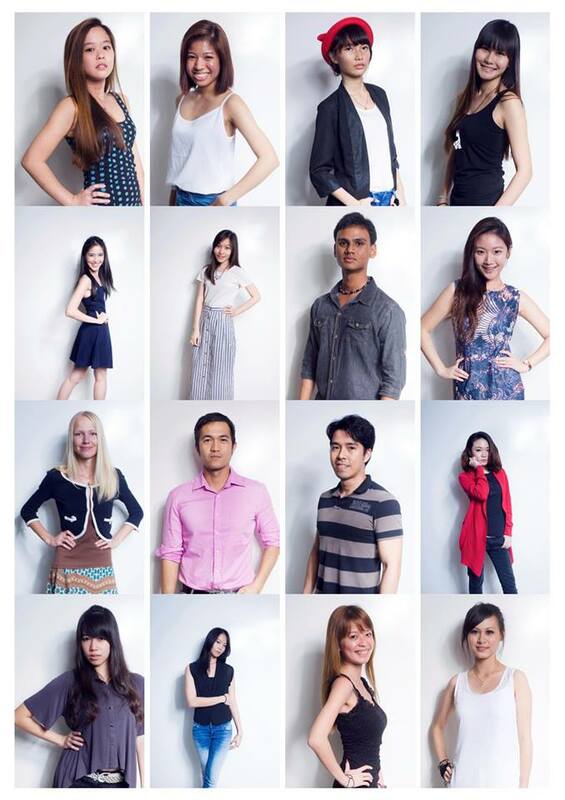 The selected models will walk the runway for our upcoming fashion show on 23 March at the Zouk. 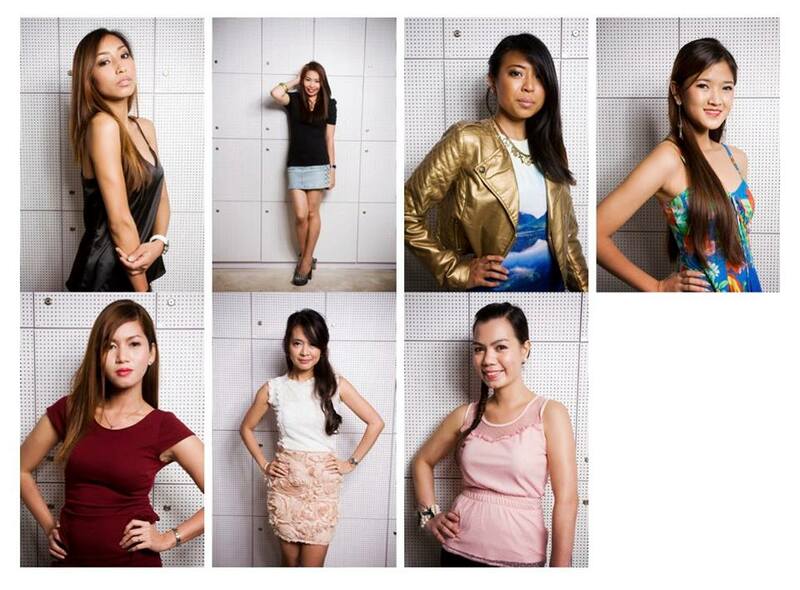 They will also be put on a short list to be our campaign model for our upcoming collection, launching in March. It was a fun filled evening with the audition consisting of three parts – a photo shoot, a video shoot of the runway walk (which was really challenging as the models had to walk down a spiral staircase in heels!) and a 30 second video introduction. All the models did really well and it was unfortunate that we could choose only 16 from amongst them. 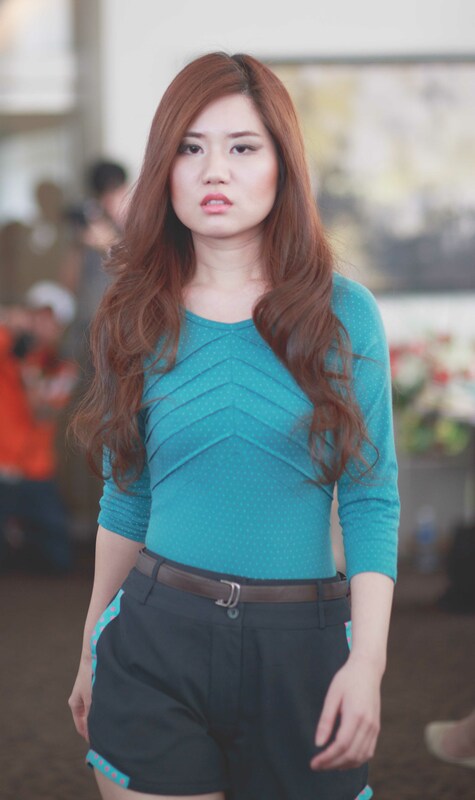 Do check out her YouTube video of the model audition. 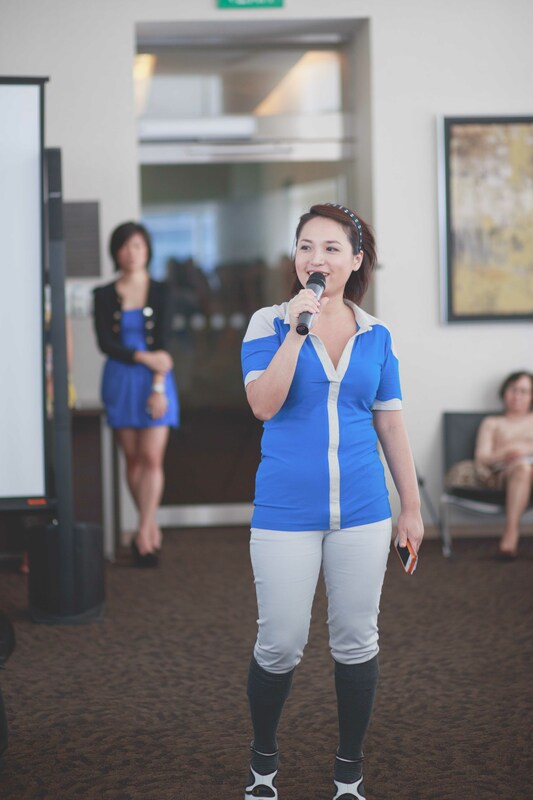 Juliana is a very popular beauty blogger who has recently launched her own website Honeyz Cube. Do check it out. It’s amongst the best beauty sites we have seen. 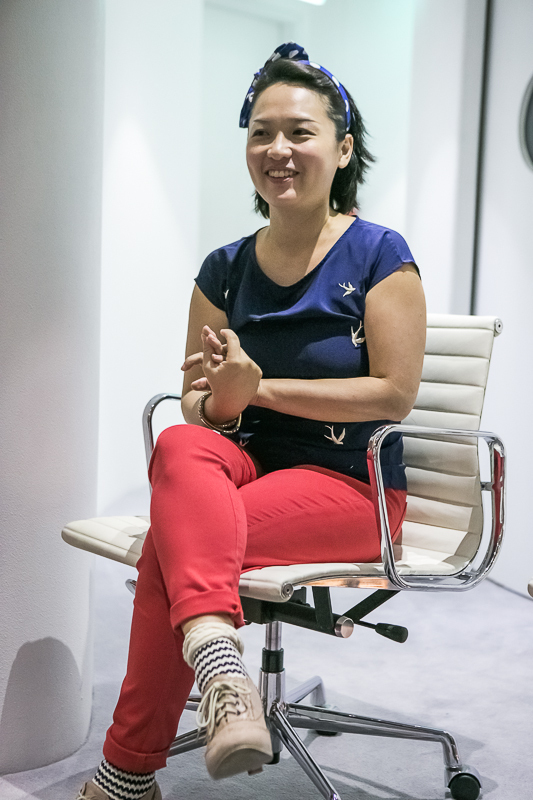 Despite having a full-time job in social media, Irina is a prolific blogger. Her posts are always very insightful and full of great analysis. 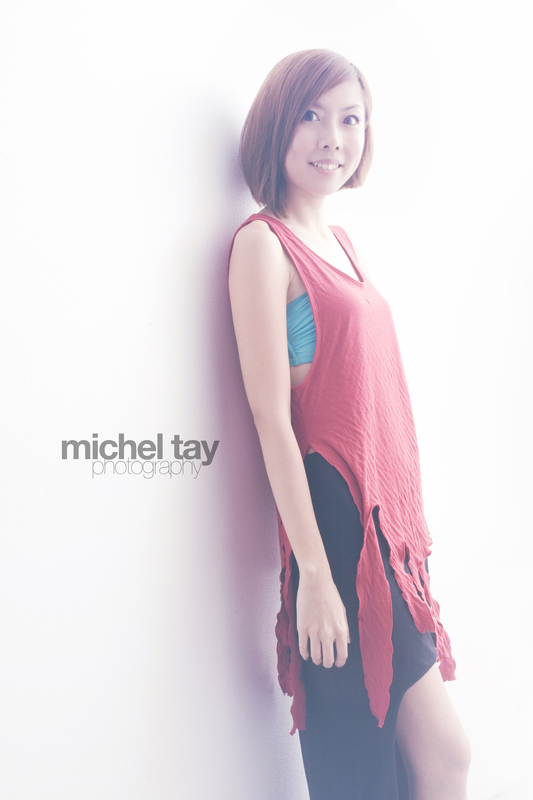 Do check out her two blog posts on our model audition and the results. 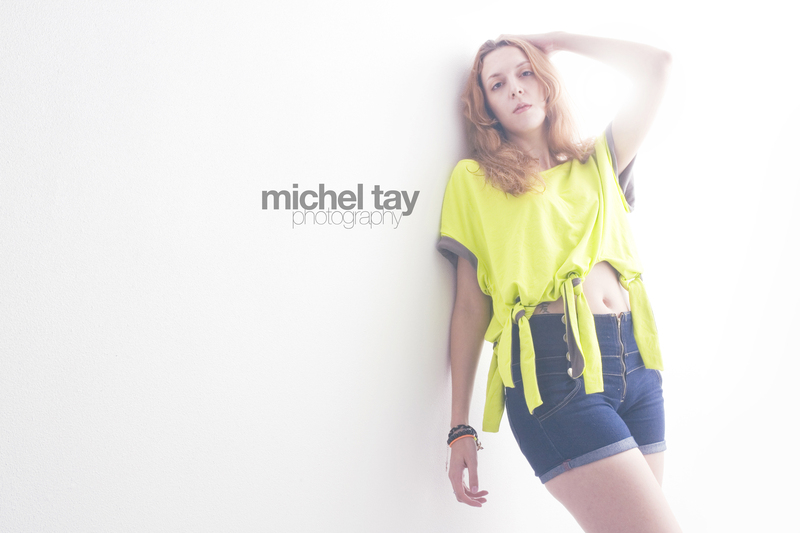 Please go to our Facebook page to ‘like’ our page and vote for your favourite models. The model with the most ‘likes’ and ‘shares’ will win a special cash reward from us, which will also be announced on 23 March. We would like to give special thanks to Jason (standing, right) from Calibre Models for giving great tips to our models during the photo and video shoots. 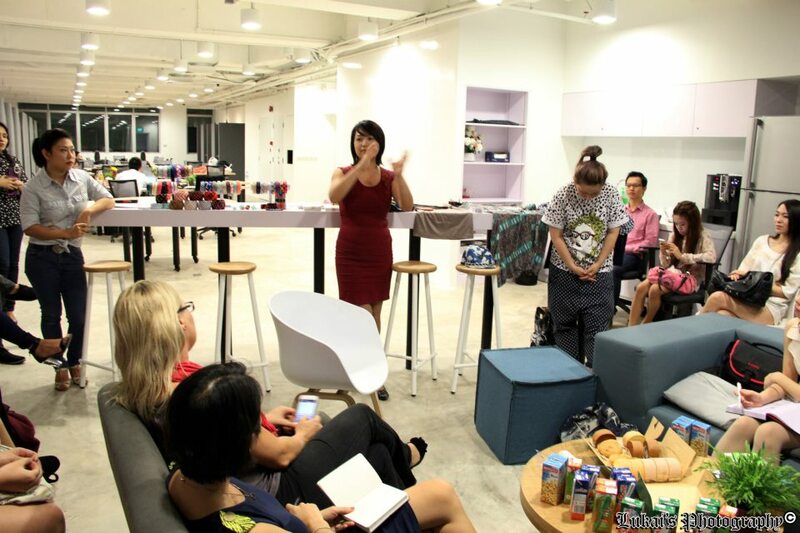 We are also very grateful to Sharon & Zi Ying from We are SPACES, Marco from RSociety and Michelle from The Co Singapore for helping us organize the audition. 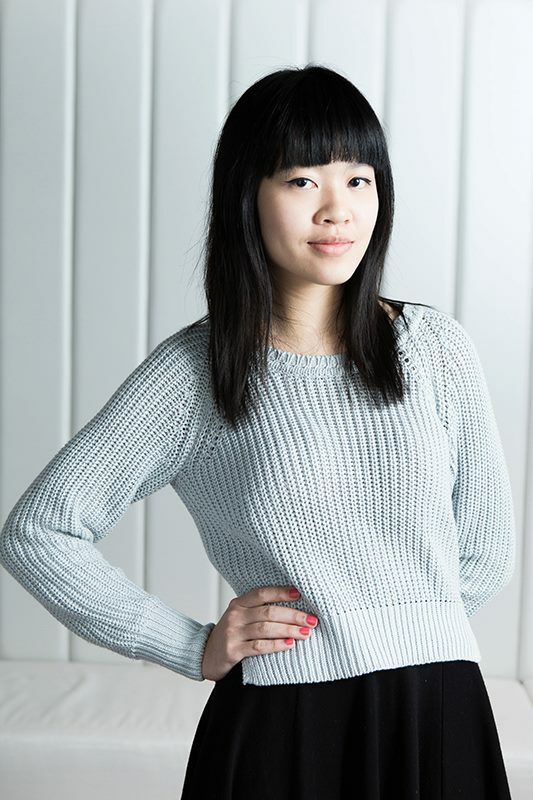 Last but not the least, many thanks to Christopher Oon for the fabulous pictures. 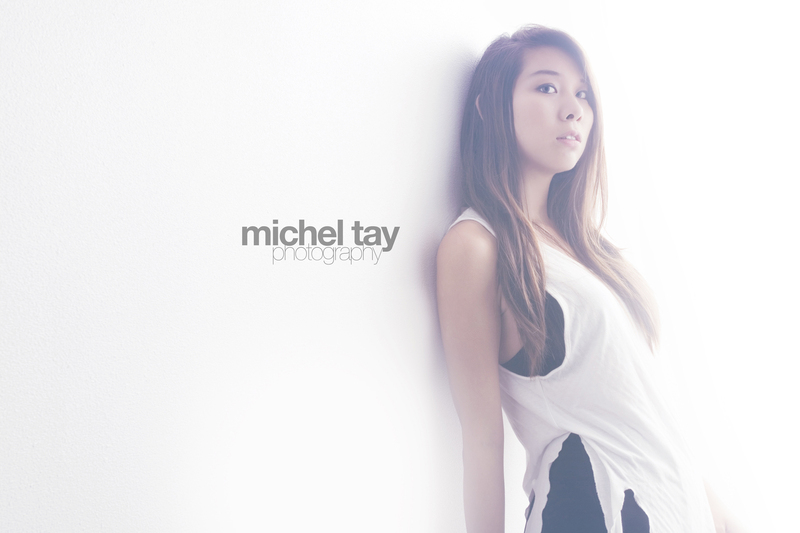 For corporate and personal photoshoots, you can contact Christopher at http://christopheroon.daportfolio.com/or email christopher.oon@gmail.com. 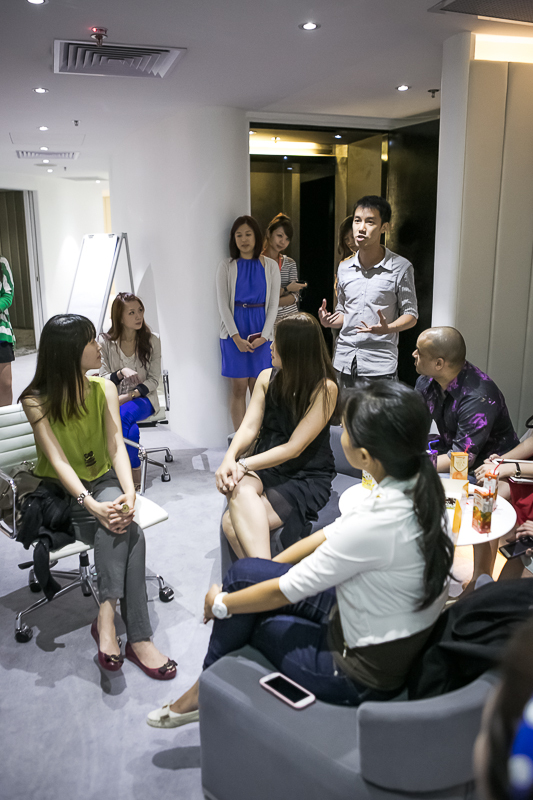 All the selected models will be back at The Co on 5 March for a briefing and training session. 19 Feb is a big day for Noël Caleb as we are launching not one but two awesome new initiatives. Back to 19 Feb now. 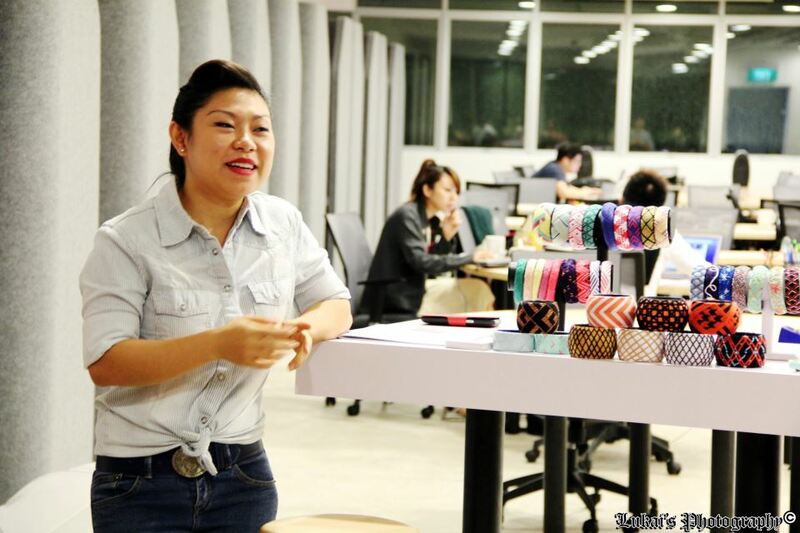 Has it being your life long dream to be a fashion designer and create your own collection? 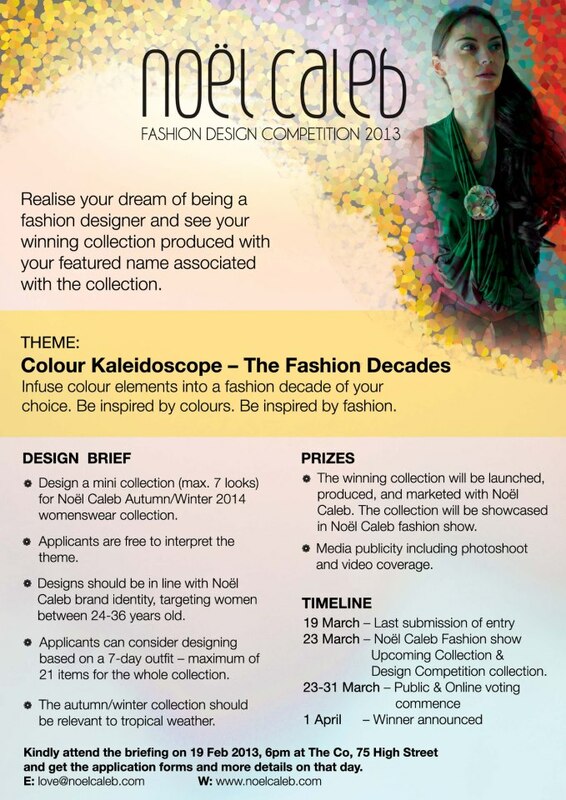 Well, we are going to make your dreams come true through Noël Caleb Fashion Design Competition 2013. Everything that you need to know is given in the poster above. You can download the application form from the link given below. We are also organizing a briefing session on 19 Feb at 6 pm. You can find out more details about the competition and clarify any queries you may have. 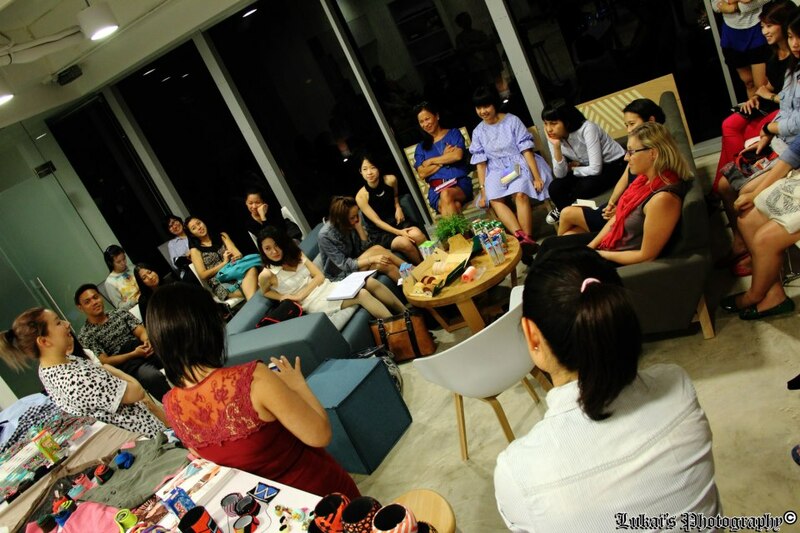 Our venue for this session is swanky and brand new The Co, 75 High Street, Singapore 179435. From City Hall MRT, keep walking in the direction of Funan Mall till you come to High Street. Cross the traffic light, turn right and you’ll see a black building, which is opposite The Treasury. This building is The Co. The second exciting initiative that we will be launching on 19 Feb is Model Search 2013. 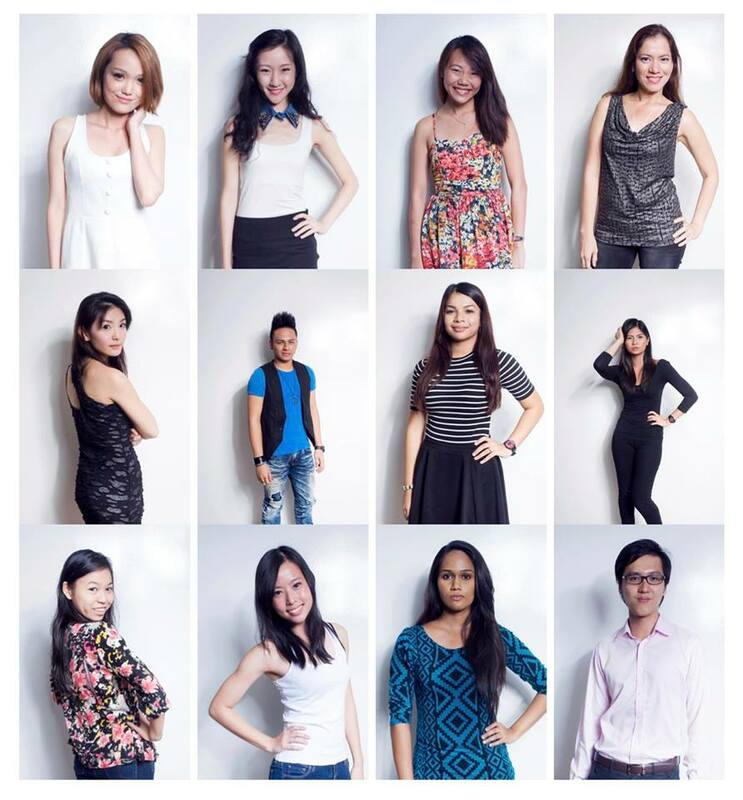 Yes, we are conducting our first model audition for the year on 19 Feb. This is not just for our first fashion show of 2013 which will happen in March. We are also looking for the next Noël Caleb campaign model for our upcoming collection. 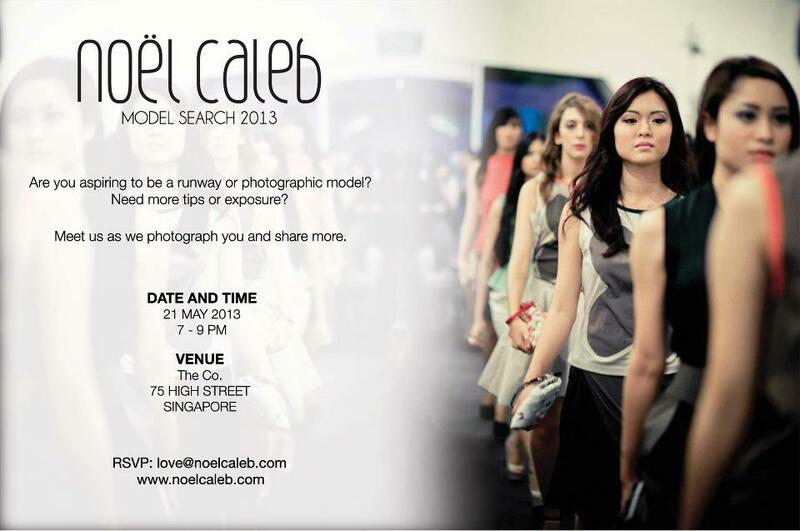 RSVP to love@noelcaleb.com with your name, brief introduction and contact number. 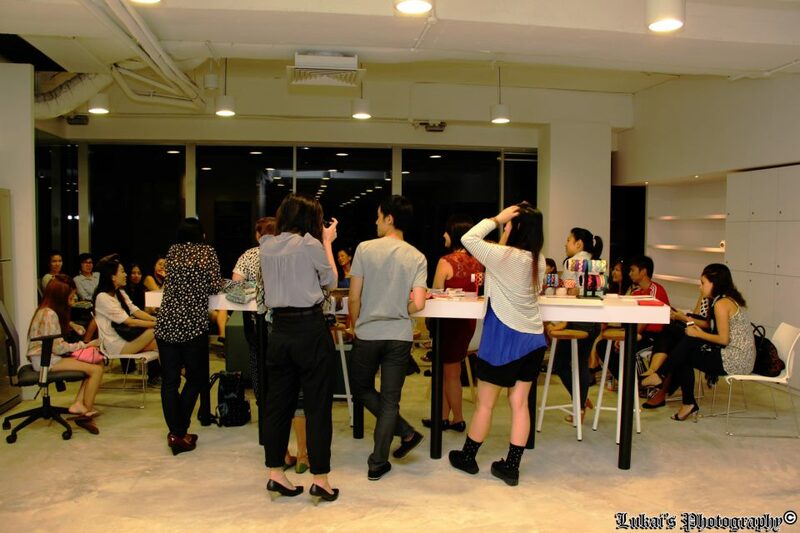 The venue for the audition is The Co, 75 High Street, Singapore 179435. So now you can see why we are so excited about 19 Feb. Aren’t you? Be a Noël Caleb facebook fan! Click “like” here.